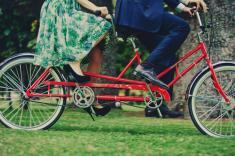 The heavy-duty bicycle built for two, which only Worksman can bring to you. SINGLE speed version. 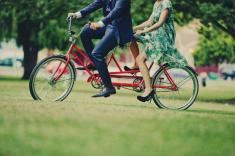 Tandem Cruiser Bicycle with Dual Unisex fully lugged hand brazed frame for easy mounting and dismounting. 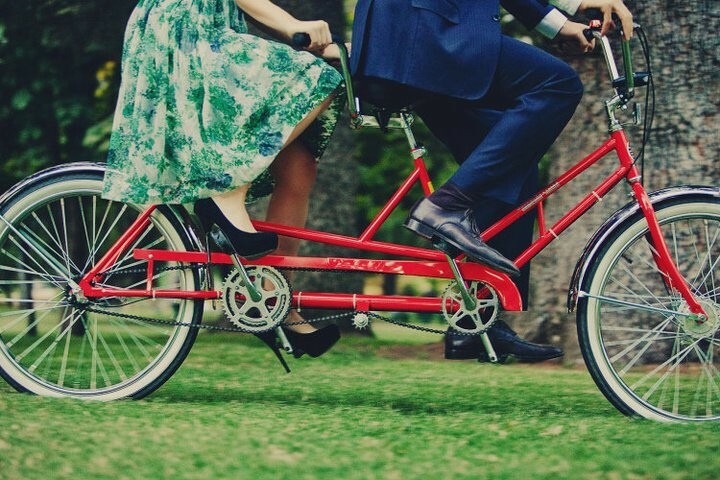 The Worksman Cruiser Tandem features exclusive WTC Clincher Wheels, 11 g spokes (.120), automotive type front drum brake, rear coaster brake, stylish 26x2.125" white-wall tires, full fender set, upright handlebars, thickly padded cruiser saddles and so much more. The "Heaviest Duty Tandem" of all time, the Worksman Model T is popular at for rentals at leading resorts around the world.